The sixth largest consulting network in the world is expanding in the Czech Republic and Slovakia. RSM now includes Infinity, an IT company that is changing its name to RSM CZ and assuming the RSM network corporate visual identity with effect from 1 September. Beside its subsidiary RSM CZ, which has been a RSM member for 5 years, RSM CZ will become another member of the RSM family in the Czech market. RSM CZ has been operating for over 20 years and has always been a stable and reputable IT company providing comprehensive corporate ICT solutions to its clients. “We are forming a strong consulting and technological group in the Czech market, with the goal of offering first-class services in the transactions sector, which has traditionally been our strong point, as well as day-to-day advice, that is in the services sector. Today, outsourcing all non-strategic processes is a very common trend. 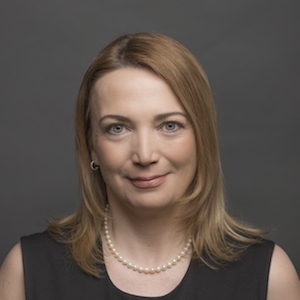 Our aim is to offer a real one-stop-shop that can cover not only our clients’ accounting and taxes needs but all IT services as well,” says Monika Marečková, Chairman of the Board of Directors of both companies. “So far, RSM’s CEE portfolio has not included an ICT company. After the USA and the UK, the Czech Republic will be the third largest IT services centre within the RSM network. We aim at developing common products for clients, and RSM CZ helps us interconnect information and communication technologies with the traditional consultancy provided by RSM CZ. This is a trend we wish to support and continue”, adds Monika Marečková. RSM CZ will continue to be one of Microsoft’s major partners and will keep all its divisions specialising in cloud services, IT services outsourcing, corporate applications and dedicated SW development. “RSM CZ will continue to provide the same services to the high standards our clients expect. All under the RSM brand with a new design”, says Monika Marečková. With Infinity as a member of the RSM network, the services and expertise of RSM members will be available in more than 760 offices in over 120 countries around the world. RSM CZ has been active in the market since 1992 and is a provider of professional comprehensive IT services (system integration, IS implementation, network designing and implementation, data communication solutions, application software development and extensive installation projects and outsourcing). RSM CZ is a company of strong partners such Microsoft, Hewlett-Packard, Hewlett Packard Enterprise, Cisco Systems, ESET, Symantec, Veeam, Avaya and VMware. As a member of the RSM International network, Infinity is operating under the name of RSM CZ from September 2016. RSM CZ is a consultancy firm providing comprehensive tax, accounting and payroll consultancy, valuation and management consulting services. RSM CZ specialises in mergers and acquisitions, corporate finance and trust services. The company has been present in the market since 1993, first under the name of TACOMA, and since 1 July 2011, as RSM CZ, after it became a member of the world’s sixth largest network of independent advisory firms RSM International.